Big C and small c conservatism | Who Runs Britain? ← Andrew Marr asks Who Runs Britain? Almost without exception, at some point early in each academic year, in one of my first year lectures I will make reference to someone being ‘conservative with a small c’. 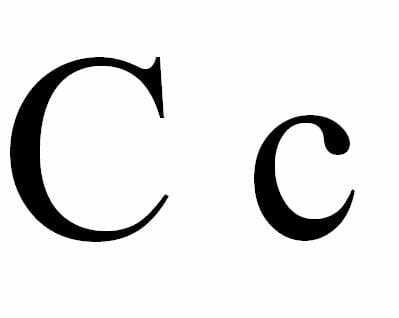 Until recently I assumed that everyone knew exactly what I meant by this, although there is no reason why they should, but I have occasionally sought to clarify things by refering to the difference between big C and small c conservatism. I am, however, far from convinced that my attempts to explain have helped a great deal, not least because they are usually delivered as a hasty digression from a lecture on something entirely different. My suspicions were realised a year or two ago when one of our first year students observed that he had been following the lecture in question, but that I had lost him when I started talking about big C and small c conservatism. In hope as much as expectation I will attempt a more considered clarification here. The word ‘conservative’ may be used as an adjective or a noun. Conservative the noun, or big C Conservatism, refers to the Conservative Party, or a member the Conservative Party. Conservative the adjective, or small c conservatism, refers to an opposition or resistance to change, a preference for things the way they are, or to put it another way a tendency towards conserving things. Now here’s the tricky bit. Just because one is conservative doesn’t necessarily mean one is a Conservative, and it is perfectly possible to be a Conservative without being conservative. People become members of the Conservative Party, at least in part, because they are in some respects conservative. By which I mean, Conservatives and Conservatism as a political philosophy, tend to be opposed to rapid or what they would perceive as unecessary change. Conservatives tend in particular to be in favour of conserving the long-established structures of British society – the Monarchy, the House of Lords, the armed forces, the Union – and also stand up for what some would argue are ‘traditional values’. Insterestingly when they talk about these things, Conservatives often conflate them with British institutions and values, as if being British and Conservative (or indeed conservative) are the same thing, but that is a question for another day. However, not all Conservatives can be described as conservative. Some radical Conservatives, like Margaret Thatcher, for example, advocate fundamental change particularly in economic policies and social policies, which were based around rolling back the state. Indeed, some have argued that Thatcher’s policies marked such a radical breach with previous Conservative thinking, that she was not Conservative at all – put simply she was not conservative enough to be a Conservative. Similarly, one can be conservative and not be a Conservative, or a supporter of the Conservative Party. I am deeply conservative, I always buy the same kind of shirts from the same shop, I holiday at the same place every year, change unsettles me and my first instinct is to resist it. I am not, however, in any way a supporter of the Conservative Party. More significantly, when in his 1999 Labour Conference speech, Tony Blair referred to the ‘forces of conservatism’ which were holding back British society, he was not talking about the Conservative Party (which had been roundly defeated anyway in 1997), but to those who were resisting Labour’s public service reforms from within the public sector, those on the left resisting Labour’s criminal justice agenda or those holding back peace in Northern Ireland. The Conservative Party, he argued, were only part of the problem, it was those conservatives, who were much more numerous and arguably more influential than the Conservative Party, who were the real problem. This entry was posted in Uncategorized and tagged Blair, Conservatives, Thatcher. Bookmark the permalink. Thanks very much for this post. As a very un-political teacher writing a master’s assignment on government policy this has at least cleared up one problem I had!